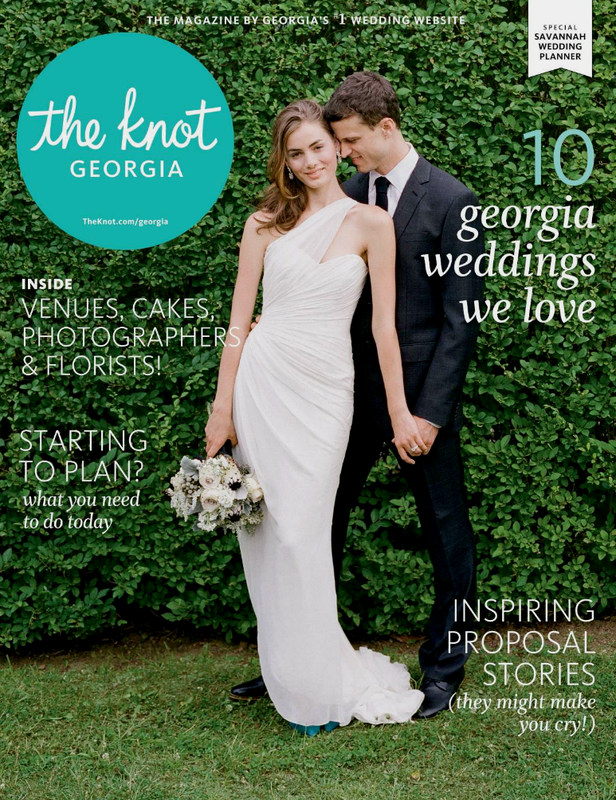 I cannot begin to express how excited and honored I am to have not only one but TWO weddings featured in the Knot Georgia Spring/Summer 2015 Issue! I loved planning and designing with both of these beautiful couples! Leanne & Matt were married at Piedmont Park Greystone and the photos from Amy Arrington Photography are absolutely stunning! 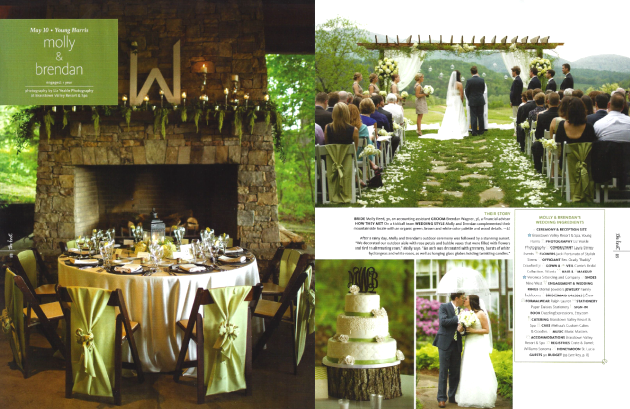 Molly & Brendan were married at Brasstown Valley Resort and Liz Yeakle Photography did an incredible job capturing their day! 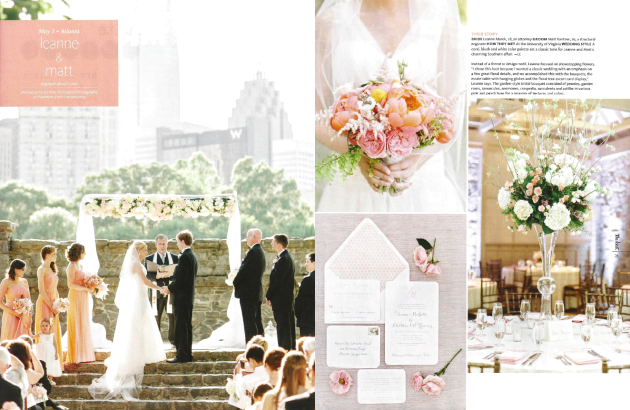 A huge thank you to all the amazing vendors involved in both couple’s special day (all vendor credits can be found in the magazine) and of course, a huge, heartfelt thanks to The Knot for these features! Superb article!! All the pictures are very pretty. I am getting married very soon and looking for a professional event coordinator for the arrangements of my wedding. I searched for some event planning firms in Chicago but all seemed same to me. Please help in selecting a talented planner!!! This is Amazing! 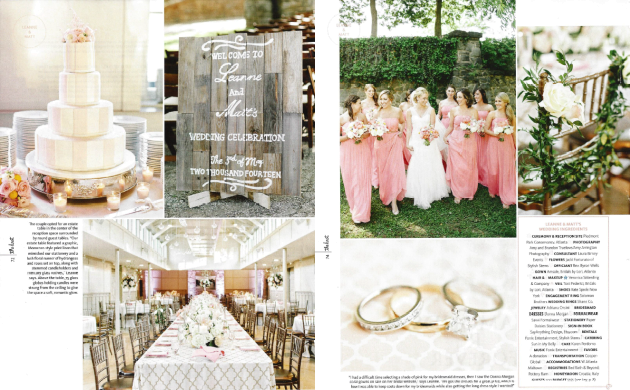 The Wedding looked stunning and it's incredible to have your work published! What a fun and upbeat read! I wanna start a blog now after reading this! Event Management Companies in Delhi. Thanks in advance. I am totally agreed with you that for great wedding, we have to hire Wedding Planners in Delhi and take help from them. hello if you have any help about mechanical design visit at Mechanical Design Solution and we have hire Mechanical Engineering Design and take information from them. Read our reviews at WeddingWire.